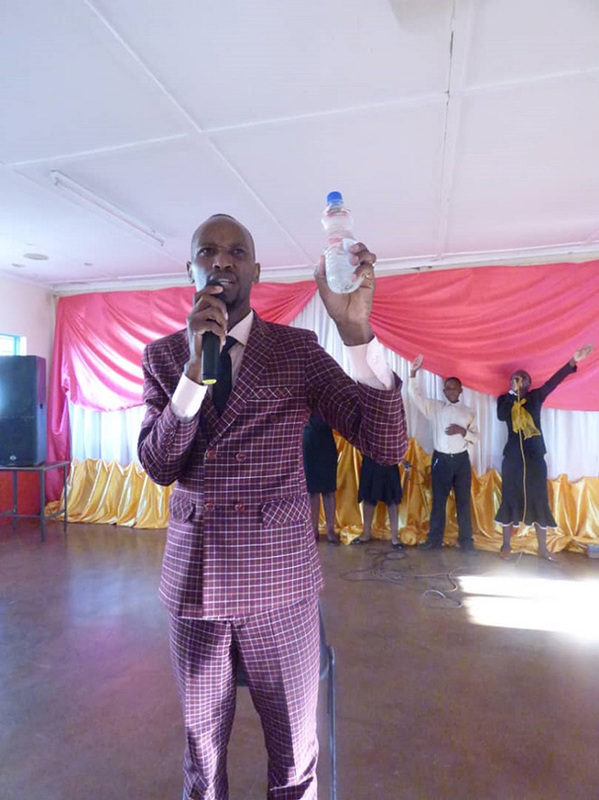 A LOCAL church leader has left tongues wagging claiming to have done a rendition of the biblical miracle of changing water into wine. 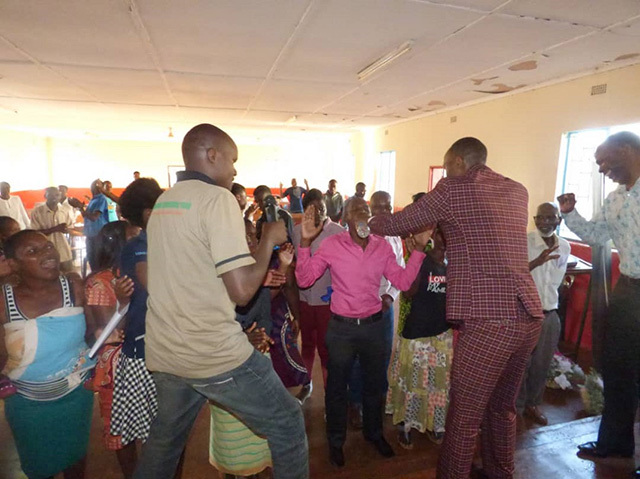 Prophet Clever Kudzanai Mugambiwa, founder of Covenant Family International Church who is originally based in Kwekwe, reportedly performed the miracle at one of his services in Kuwadzana 6 at the Presbyterian College where he has opened a Harare branch. The miracle has divided opinion after scenes from the service circulated on social media. While some have labeled the man of cloth an attention seeker, some have defended him saying miracles still happen. This is one among many controversial miracles alleged to have been performed by him. . 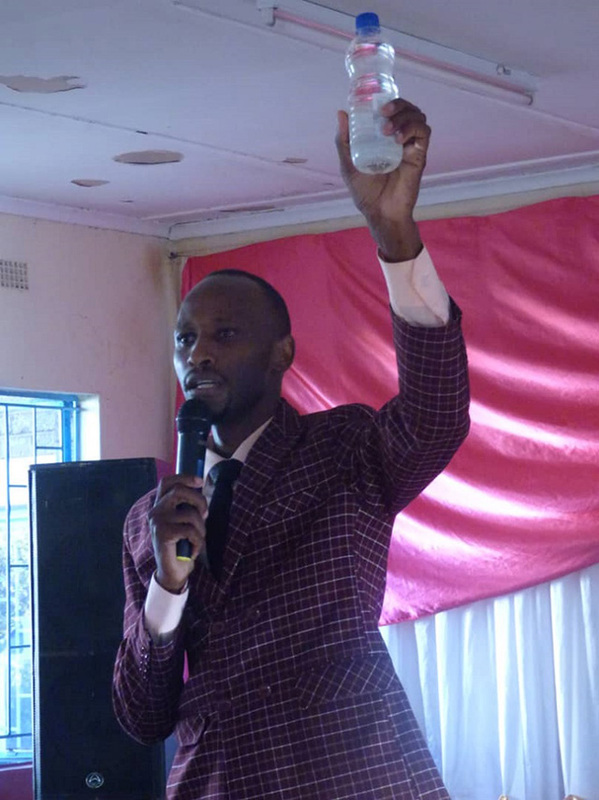 The preacher reportedly prayed for a sealed water bottle before calling congregants to taste it. This, according to sources, was done as a show of faith during a healing and deliverance service. “This was healing and deliverance service on Saturday and he was demonstrating how the power of God can do wonders. I believe it was a way to boost faith in his congregants,” a source said. The preacher confirmed the incident and said this is all through the work of God. “Miracles are an important element in worship. They are called signs pointing people to Jesus. These things do happen a lot and if we decide to talk about them then every week we will be in the news. I know people will say a lot but this should be expected. Even Jesus suffered the same fate with people criticising what he would have done but in the end people would go to him at night for help,” he said. “Harare has been remembered. This was a healing and deliverance service and many people with different problems were helped,” he said.